Directed by university lecturers Sopawan Boonnimitra and Peerachai Kerdsint , funded by agencies including Thailand’s Ministry of Culture and several international humanitarian organizations, and dealing with the lives of Burmese immigrants and residents along the Kra Isthmus, that separates Thailand and Burma, "Isthmus" had all the prerequisites of being a very interesting film. Let us see if it came true. Hom, an 8-year-old girl develops a strange ailment, after the Burmese maid of the house she lives in, Gee, dies, and starts speaking Burmese, despite the fact that she had never been taught the language. Her mother, Da, believes that the cause of the event is a spiritual connection the two share, and decides to embark to Ranong a Thai-Burmese border town, with her daughter, in search of Gee’s only relative. As they meet a local doctor, an orphan boy the doctor takes care of, a security guard at a half-built hotel and a Japanese geologist turned pastor, their trip takes a metaphysical path, regarding loss, and being caught in-between spaces. To start with, "Isthmus" is a distinctly art-house film, featuring a more than loose narrative, and presenting its messages through a collage of sequences and images that demand from the viewer some knowledge of the sociopolitical context of the area, and particularly the different ethnicities and religions that coexist and occasionally clash with each other. In that fashion, Sopawan Boonnimitra and Peerachai Kerdsint direct a movie that is somewhat difficult to follow, one of the movies that have to be perceived with the senses rather than logic. To further this notion, most of the story arcs are left somewhat unfinished, as the focus is not on the narrative, but instead lies with the concept of the " “inbetween-ness” of immigrants, who have left their country, but have not arrived to their new place yet, meaning they have not been accustomed or absorbed yet. Even that message though, is delivered in a rather abstract fashion, while the fact that emotions seem to be much above the sociopolitical comments, eventually faults the film. On the other hand, in visual terms, "Isthmus" is a masterpiece, with Sittipong Kongtong's cinematography presenting images of extreme beauty, even in the most unusual places. 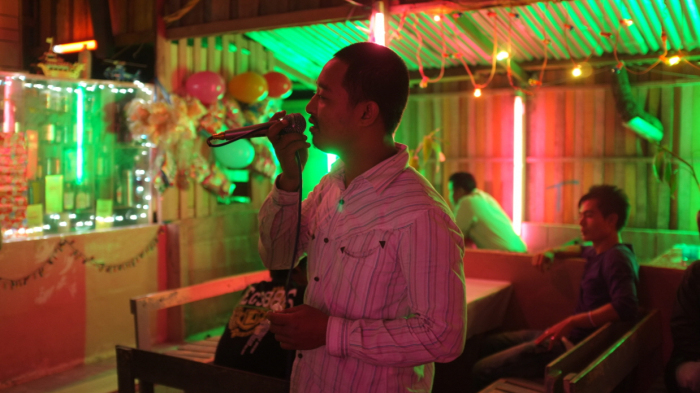 In that fashion, even the painting of a boat in a shipyard, the interior of a bar, and the half-built hotel look impressive as much as ominous, with the use of Wuttipong Leetrakul, Manussa Vorasingha, Adisak Poung-ok's mostly folk music helping much in this direction. Furthermore, the natural environment of the area with the waters and the vegetation are presented in outstanding fashion, with Ranong actually being one of the protagonists. Max Tersch and Manussa Vorasingha's editing retains the dreamy essence that permeates the film, although, in this type of narrative, the editing occasionally looks like a collage of ideas rather than a compact connection of scenes. Marisa Kidd as Hom plays her part with an innocence and a curiosity that suits her age, while she also functions as the narrator of the movie. Gorgeous Sangthong Gate-U-Thong as Da highlights her difficulty of understanding her daughter, while the scenes where her true feelings of loss come to the fore, are the highlights of her performance. Saw Marvellous Soe, a renowned singer from the Karen minority, plays the doctor emitting kindness from every pore, in the sole role in the film that is not as laconic. 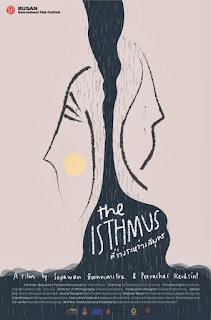 "Isthmus" is a film that I felt could have dealt with its subject in very different fashion, since its extreme art-house aesthetics do not seem to benefit its sociopolitical premise. The cinematography, however, and the sense deriving from it compensates much, although not fully.